(SPOT.ph) Most mall-goers will agree: A good parking slot has become the holy grail. But in Uptown Mall, at the Uptown Bonifacio complex in Taguig City, finding a good spot to park your car just got easier—thanks to its parking area's fun yet functional design. 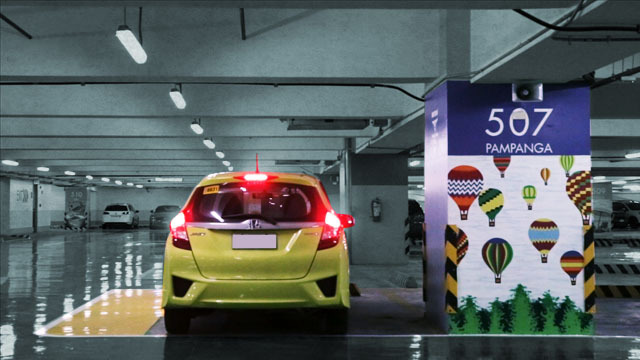 The mall partnered with Boysen and local artists to revamp the five-level basement parking space with a unique thematic design—that includes murals, maps, glass signage, and even elevator buttons—to make sure the mall’s patrons will remember where they parked their vehicles. Now, you’ll just have to follow the quirky artwork to find your way back to where you parked. For more information, visit Uptown Bonifacio's website, or follow them on Facebook and Instagram. This article was created by Summit Storylabs in partnership with Uptown Bonifacio.